We had an incredible time sponsoring and speaking at our first major industry event of the year—the 2019 KBGS in Korea’s Silicon Valley, Pangyo. Here’s what went down. The dawn of 2019 was action-packed for Enjin in Korea. As main sponsor of the Korea Blockchain Game Show, we had the opportunity to showcase Enjin’s achievements, technology, and vision to more than 1,000 attendees—all of whom share a common interest in changing the paradigm of the Korean games industry. 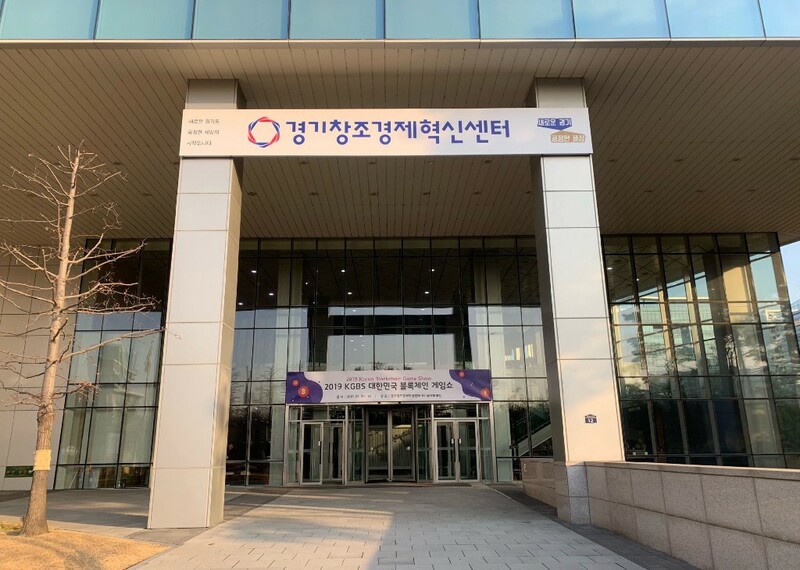 Held January 30–31 in Korea’s “Silicon Valley,” Pangyo, the KBGS was hosted by the Korea Mobile Game Association and Korea Blockchain Contents Association, who we recently partnered with to boost cooperation and promote development of South Korea’s blockchain game industry. This event was a perfect example of these efforts in action. With an abundance of interesting projects and some of the industry’s best minds, KBGS 2019 was a strong reminder that blockchain technology is here to stay—and Enjin is swiftly taking the lead as a frontrunner for mass adoption. Entry fee? 1 Enjin Wallet download, please. While similar industry events charge entry fees, KBGS was particularly unique in this respect. 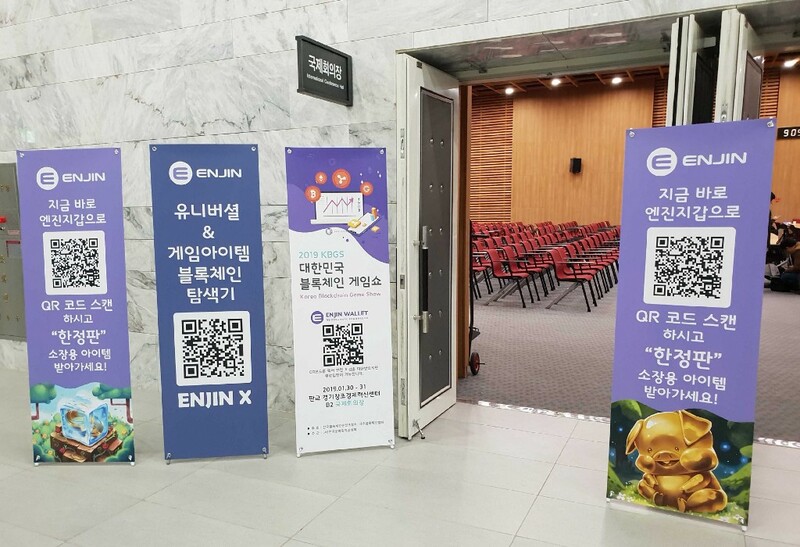 Rather than paying, attendees were instead required to download the Enjin Wallet as their entry ‘fee’—which, of course, enabled them to scan the myriad QR codes we had placed throughout the event, from banners and handouts to our Enjin business cards. 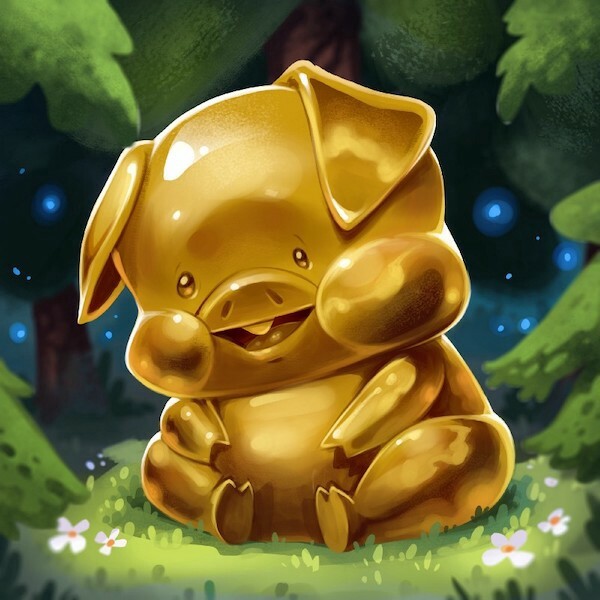 In celebration of the year of the pig, among the 2,700 items available in the QR Lootdrop was our beloved golden Donny (도니)—backed by 20,190 ENJ. Donny has quickly risen to fame in the Enjin community and even has a song dedicated to him. KBGS also differed from many other gaming events and conventions we attend, which are often a combination of enormous crowds, a crazy number of booths, and swag galore.